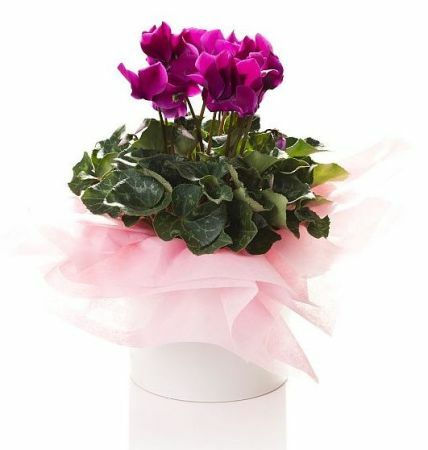 Cyclamen plants, the simple perfect gift without having to spend a fortune. From $19.95 it is easy to send someone your special thoughts. Happy Birthday, Get Well, Love or even a thinking of you sympathy gift. Even put the large plant into a ceramic pot for the perfect gift that will last right through winter.